I read this article and found it very interesting, thought it might be something for you. 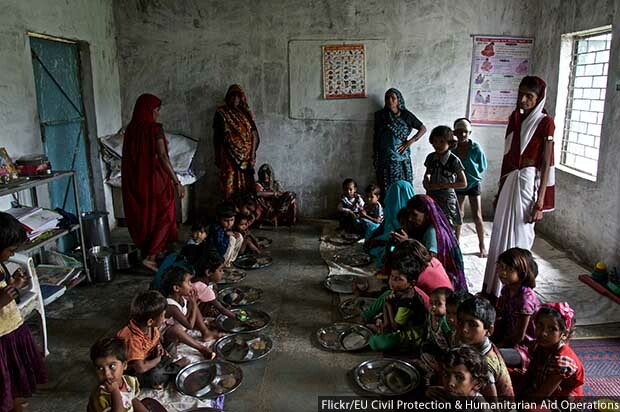 The article is called Child Health At Risk: Despite Greater Tax Income, Most States Cut Funding To Key Programme and is located at https://archive.indiaspend.com/cover-story/child-health-at-risk-despite-greater-tax-income-most-states-cut-funding-to-key-programme-63040. The SNP is the most popular service under the national child-support system–the Integrated Child Development Services (ICDS)–as it is used by 35.6% of urban and 53% rural residents, according to data from the National Family Health Survey 2015-16 (NFHS-4). As many as 55% and 61% of India’s lowest and second-lowest income classes, respectively, depend on the ICDS. The fall in funding could jeopardise not just child health but, as a consequence, future productivity and economic growth; these cuts come three years after the Centre increased the states’ share of net tax revenues from 32% to 42% and at a time when two out of three nutritional parameters improved over 10 years to 2016. The greater share of net tax revenues to the states followed the recommendations of the 14th Finance Commission in 2015. The funding cuts made to the SNP by the 14 states range from 3% to 55% over a year to 2016-17, according to a February 2018 budget brief published by the Accountability Initiative, a division of the Centre for Policy Research, a think tank. Over 10 years to 2015-16, the proportion of Indian children stunted–short for their age–went down from 38% to 28%, underweight (relative to their age) from 43% to 36%, but wasting–thin for their weight–rose from 20% to 21%, according to NFHS-4 data. As many as 76% of child development project officers and additional child development project officers posts were vacant on March 2017 in Maharashtra, while there were no vacancies for the same positions in Bihar and Mizoram, according to the budget brief.